Your service provider will collect used motor oil and filters during your weekly curbside collection. Motor oil must be in a clear plastic jug with the screw-on lid taped in place. Oil filters must be drained and sealed in clear plastic bags. Once properly prepared, these items may be placed on the ground and next to your recycle cart for collection on your regular service day. 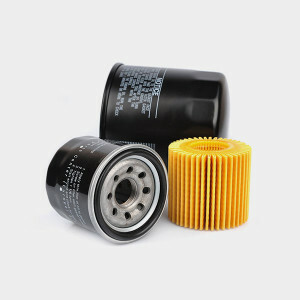 Your service provider will properly dispose of both the motor oil and filters. San Joaquin County residents may take used oil and filters to any of over 60 Certified Collection Centers within San Joaquin County. Most of these collection centers will accept up to 5 gallons of oil per trip, although some may take more. Collection centers may or may not accept used oil filters and may accept them in differing quantities. We suggest that you call the location nearest you for details. See a complete list of used oil collection centers. Residents may also dispose of used oil and oil filters along with other Household Hazardous Waste.